Finally! You can see by the dates below, I took these two beta exams last fall. Well, today they were finally graded. I took both of these without studying and just went in cold. So I am a little surpised that I passed both of them on the first try. However, I had previously watched the edX courses for Visualizing Excel and Visualizing Power BI and would highly recommend the videos for anyone preparing for these exams. 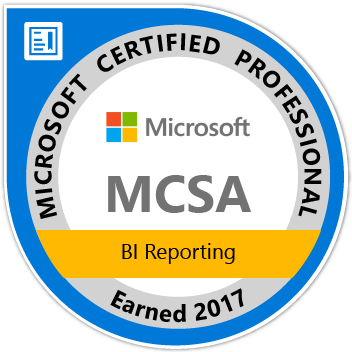 Be the first to comment on "MCSA: BI Reporting"